Hi all i hope someone out there can help. I think i have a ww1 trench watch passed from a family member to me but trying to find some back ground on it. Ive tried searching for the marks but drawn a blank. See picture it has a FD in a stamped circle then in the small circle in the left it is a f on top of a f sideways on. 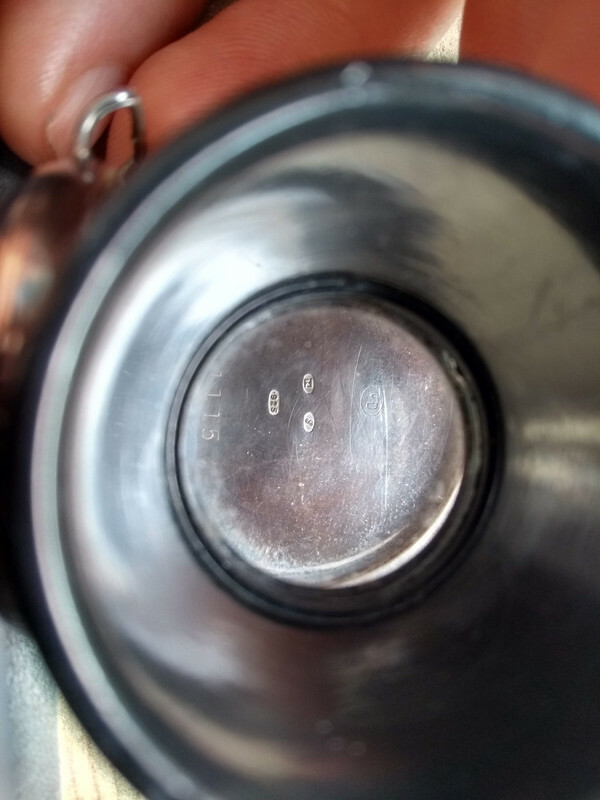 Then the circle on the right looks like an italic letter, bellow that 925 telling me the case is sliver then i presume a serial number and bellow that a j or a fish hook. Any help greatfully received if you click on the link it gives a better view. 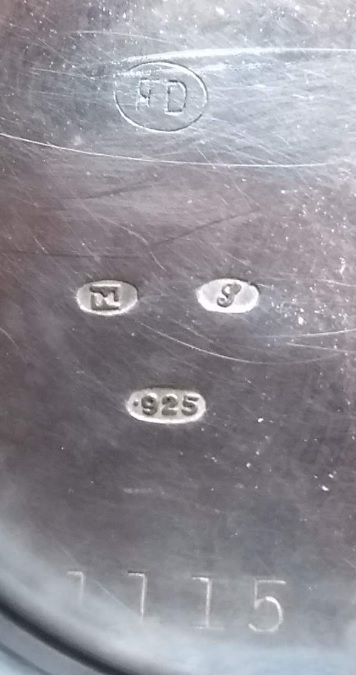 Double ``F`` on the left is post 1904 import mark of Glasgow assay office. Sponsor`s mark (importer) on top is difficult to decipher (the first letter is the problem, the second being D). Date letter looks like ``s`` for 1915. I prefer I for 1905 as the date letter. OP suggests that the letters of the sponsor's mark are FD, but it does not seem to have made it into any of the published references. silvermakersmarks wrote: I prefer I for 1905 as the date letter. OP suggests that the letters of the sponsor's mark are FD, but it does not seem to have made it into any of the published references. Thanks Phil yes FD are the sponsors marks thanks for the info.